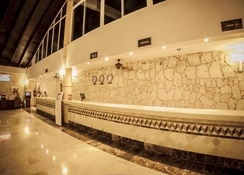 Grand Palladium Palace Resort Spa & Casino is located very close to the Cortecito beach. 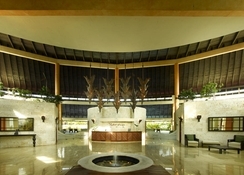 The sprawling 5-star resort consists of landscaped gardens dominated by exotic palm trees. Directly on the long sandy beach is the family-friendly hotel, which offers a huge area for children, a casino and many restaurants and bars. Here you will not only go on a culinary journey, but also experience numerous sporting activities and pampering treatments. The hotel features a beautiful garden, terrace, parking, shops in the hotel, casino, disco, internet via W-LAN in public areas, drinks machine, free newspaper and much more. 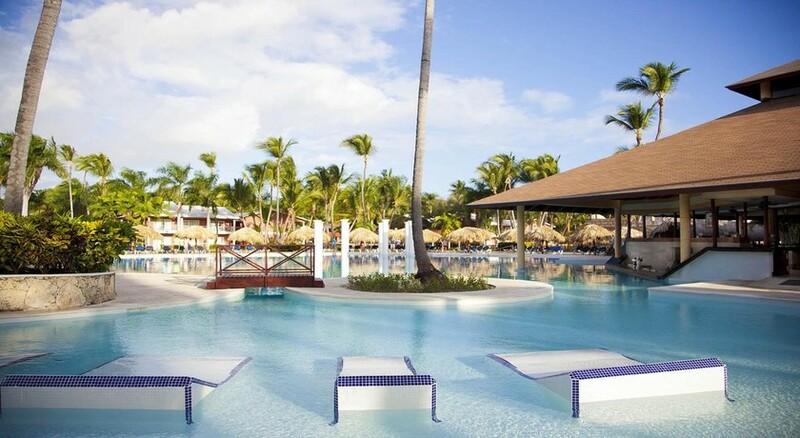 Located in the heart of Punta Cana, Grand Palladium Palace Resort Spa & Casino is a mere 10-minute walk to the Cortecito beach. The Cocotal Golf Course is about 9km from the hotel. 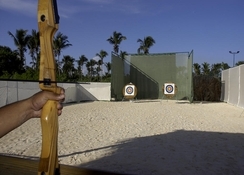 The Punta Cana International airport is 23km, while the famed Dolphin Island Park is about 8km from the property. The spacious loft suites at the Grand Palladium Resort Spa & Casino are designed in a maisonette style. In the upper area is the cosy bedroom, which consists of two single beds or a king-size bed. On the ground floor you will find the living area with sitting area and sofa bed. There are deluxe rooms where you can unwind in your private Jacuzzi and enjoy relaxing moments in the warming bath. Relax on your balcony overlooking the pool or garden and enjoy the holidays. Rooms here come with a garden view, balcony or terrace, hair dryer, Jacuzzi or whirlpool, toiletries, in room phone, minibar, air conditioning, fan, safe, pillow menu, tea-coffee maker and more. Experience a journey of the cuisines from around the world while you dine at the resort’s various restaurants. 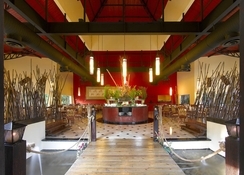 Enjoy the beautiful ambience and the various culinary delights. 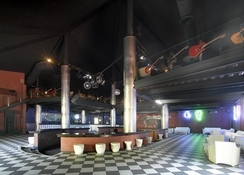 Enjoy Mexican "La Adelita", Spanish "Tapeo", Mediterranean "Mare Nostrum", Japanese "Sumptuori", Brazilian à la carte restaurant "Rodizio" and more. A wide range of delicious dishes are served at the various buffet restaurants of the Grand Palladium Palace Resort Spa & Casino. Local specialties and international dishes are also freshly prepared for guests. Refreshing drinks, cocktails and snacks are served at the hotel's bars. At the pool, in the lobby, on the beach or in the sports bar - here you can enjoy pleasant company and let the day end. Your children will be supervised professionally in the kids' club while you spend some quality time with your loved one. There is also a separate pool with waterpark, games room, cinema and dining room. Young people between 13 – 21 years can spend some amazing at the "Black & White Club." The Zentropía Palladium Spa & Wellness Centre is the perfect place to relax with massages, treatments and soothing baths. Leave your worries behind and rejuvenate your mind and body by enjoying sauna, steam room, Turkish bath / hammam, Jacuzzi / whirlpool, massages, beauty / beauty treatment, hairdresser / beauty salon and a gym.